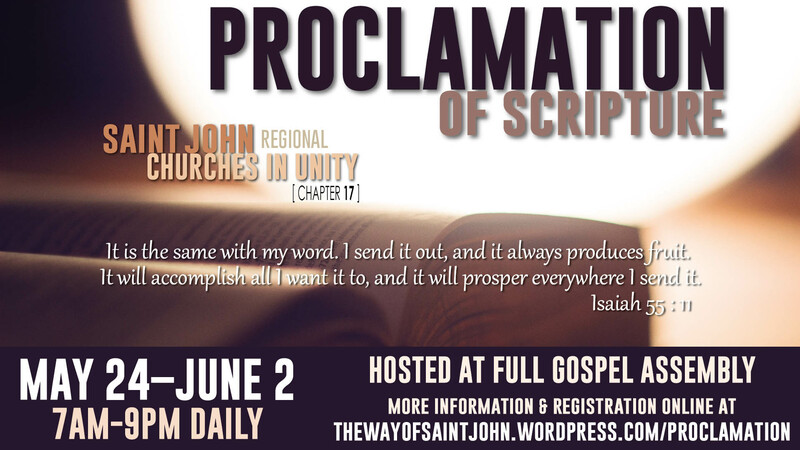 To gather a group cross-denominationally from the body of Christ in the Greater Saint John Region to discern scriptures to be proclaimed publicly and prayed in unity over the city. Reading the Epistles of Paul and identifying passages to pray and read over the Saint John Region. The Greater Saint John Ministerial chose to commemorate the 150th Anniversary of Canadian Churches by joining together as one church to read the whole scripture over the 10-day period leading up to Pentecost. Participants from thirty-three local congregations took part in this endeavour which was hosted by Full Gospel Church. This was a blessing for many involved and it was discerned to continue with some readings in public spaces. In September and October a small group including Catholic, Anglican, Baptist, Wesleyan and Pentecostal participants read the Gospel of John in King’s Square. The format included praying for the city out of what had just been read between every chapter. As the winter doesn’t lend itself to outdoor proclamation the group met through the winter to agree on the scriptures to read in the spring and to grow in relationship. For more information or to participate please contact us. Jon Hallewell lives in Quispamsis with his wife Lyn and children Ben and Grace. He works promoting Unity across the church in Saint John. 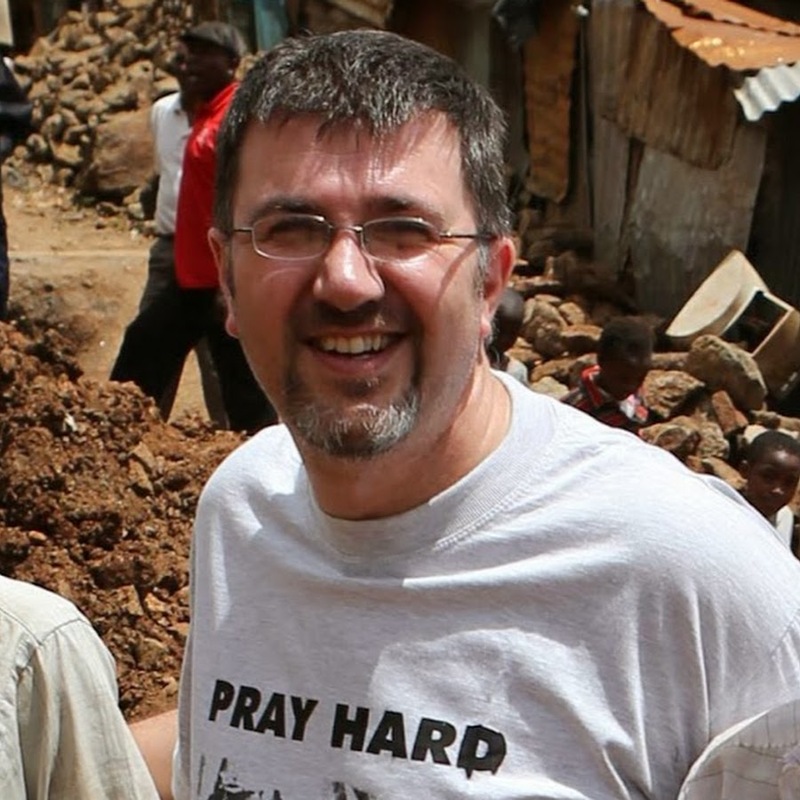 As well working for unity his passion is also for seeing the church recover its call to care for the creation. Jon has pastored in this city and has experience as a church leader and pastor in several different church denominations as well as working cross denominationally for unity in different cities. You can contact him via the contact form on this site.